Do you have any of these products at home? 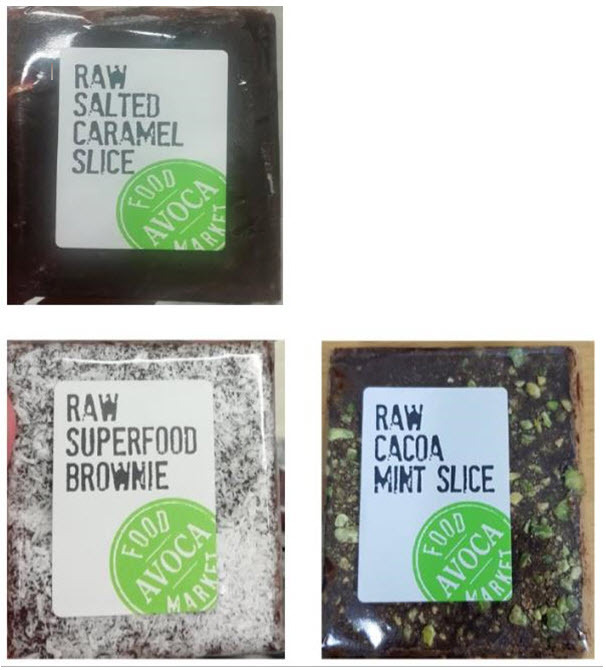 A number of products have been recalled by Avoca stores due to incorrect allergen information. The Food Safety Authority of Ireland said: "Sarah’s Rawbites is recalling the above products due to incorrect allergens information due to mislabelling. "The Raw Salted Caramel product contains sesame and cashew nuts which are not mentioned on the product label. The Raw Cacao Mint Slice contains pistachio nuts which are not mentioned on the product label and the Raw Superfood Brownie contains walnuts which are not mentioned on the product label. "This may make the implicated batches unsafe for consumers who are allergic to or intolerant of nuts or sesame seeds." If you have any of these products at home, bring them back to the store ASAP.